Traumatic Brain Injury Lawyers in South Florida | Gonzalez & Cartwright, P.A. Traumatic brain injuries are typically caused by some type of trauma to the head, whether the trauma occurs in a car, motorcycle, or construction accident, while participating in sports, or in a simple slip and fall accident. It is important to remember that your injury may be a traumatic brain injury even if you never lost consciousness and even if you did not actually hit your head. Because of the nature of the human brain, a trauma such as whiplash can lead to traumatic brain injury if the accident was sufficiently severe. However, a relatively mild traumatic brain injury can still have a lifelong effect on your ability to work, reason, and remember—highlighting the importance of seeking prompt medical attention even if a head injury is not immediately apparent. When you are coping with an injury as severe as a traumatic brain injury, you need the best possible legal representation on your side to fight for your right to full and fair compensation. Our West Palm Beach traumatic brain injury attorneys at Gonzalez & Cartwright, P.A. 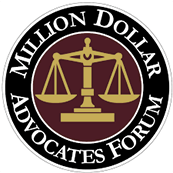 have been recognized by numerous national forums for our legal achievements, including Super Lawyers, the Million Dollar Advocates Forum, and Top Latino Lawyers. 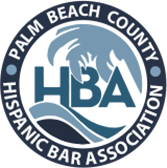 Additionally, our clients have learned that we are lawyers who they can trust because of our grassroots community involvement and our authentic support for important issues in the local community. We know that the consequences of a traumatic brain injury can be severe and long-lasting, which is one reason we always advise our clients not to accept an early settlement offer without first consulting with an experienced traumatic brain injury attorney. We offer a free initial consultation to all of our clients so that we can help them evaluate their options and so that we can offer our honest opinion as to how to proceed. In many cases, a traumatic brain injury (TBI) may not be immediately apparent if there was no significant damage to the head or skull. While it is important to seek medical care as soon as possible following any type of accident, this is especially important when a head injury is involved. Slip and fall accidents: If a business owner negligently maintained his or her store, restaurant, or other type of property that is generally open to the public, he or she can be held responsible for injuries sustained as a result of that negligent maintenance. Motor vehicle accidents: Many traumatic brain injuries are sustained in motor vehicle accidents, especially motorcycle accidents. If another driver’s negligence or recklessness caused the accident, that driver and his or her insurance company can be held liable for damages. Hospitals and medical professionals: Failure to provide reasonable care or properly maintain facilities can lead to traumatic brain injuries in hospitals and nursing homes. Bicycle and pedestrian accidents: When a bicyclist or pedestrian is struck by a motor vehicle due to the driver’s negligence, he or she may be particularly susceptible to sustaining a traumatic brain injury. Did you suffer a traumatic brain injury in an accident caused by someone else’s negligence? Contact our offices at 561-533-0345, or toll free at 888-888-3903, to schedule an appointment today. You can also fill out this online form, and one of our West Palm Beach attorneys will respond promptly. Remember: your first consultation is free. We have our main office located at 813 Lucerne Ave, Lake Worth, FL 33460, as well as an office in Pompano Beach, Florida. FAQ: Can I recover from a traumatic brain injury? In mild to moderate traumatic brain injury cases, a full recovery is possible. The most severe traumatic brain injuries can result in lifelong challenges and ongoing expenses. Even if you only suffered a relatively minor traumatic brain injury, it remains important to seek out medical care in order to rule out the possibility of a more severe and lasting injury. FAQ: How is a personal injury lawsuit involving a traumatic brain injury different from other personal injury lawsuits? Procedurally, a case involving a traumatic brain injury works in the same manner as any other personal injury lawsuit. We analyze all relevant evidence, identify and interview witnesses, and visit the scene of the accident to determine what happened. The primary difference is that a traumatic brain injury and its effects are often difficult to predict—and the injury itself may be difficult to identify immediately. This makes a lawyer with experience in these cases particularly valuable, as they can help to quantify the future expenses that you may incur and negotiate a more accurate settlement agreement to make sure you are protected.